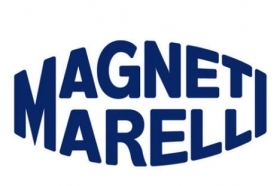 TURIN, Italy — Magneti Marelli, Fiat Group's wholly owned parts subsidiary, aims to boost North American sales significantly because of Fiat's alliance with Chrysler Group. Marelli hopes to increase revenues in North America, including Mexico, to about $1 billion in 2014, from almost $150 million last year. That would help the supplier meet a target Fiat S.p.A. CEO Sergio Marchionne has set for Marelli: sales of 7.7 billion euros ($9.45 billion) by 2014, from the $5.52 billion it reported last year. But Fiat's effective control of Chrysler doesn't automatically mean Marelli will win Chrysler orders. Marelli already has won contracts for lighting, instrument panels, shock absorbers and infotainment modules for the Fiat 500 to be built at a Chrysler plant in Toluca, Mexico. It supplies the same parts for the European-version 500, which is built in Poland. Marelli also will supply the engine-management control unit for the 1.4-liter MultiAir Fiat engine Chrysler will start building late this year in Dundee, Mich.
Marelli will bid for lighting, instrument panels, infotainment and telematic modules, suspension cross members and exhaust systems for vehicles to be built on what Chrysler calls the Compact Wide architecture. Chrysler will base eight or nine new models, including the 2013 replacements for the Dodge Avenger and Chrysler Sebring, on the Fiat-derived Compact Wide architecture. Until recently, Chrysler has been a small customer for Marelli. The business totaled about $25 million a year in recent years, mostly shock absorbers for sporty versions of Dodge models. Last year Marelli's business with Chrysler fell, in line with lower production volumes, to about $10 million. If Marelli succeeds in getting all of the Chrysler business it plans to seek, its 2014 sales to Chrysler could total $700 million. Marelli also wants North American business with other automakers. Its main push has been for lighting contracts with General Motors Co., Ford Motor Co., Volkswagen AG, BMW AG and Daimler AG, plus telematics modules for the Ford F-150 pickup. Those contracts were worth $140 million in 2009. The business is projected to grow to about $300 million in 2014. • A powertrain components plant in Sanford, N.C.
• Two lighting plants in Ciudad Juarez, Mexico. • An electronic components plant in Tepotzoplan, Mexico. • A shock absorber plant in Pulaski, Tenn.